This is our steam shower generator reviews and installation tips. Choosing the right shower steam generator is an essential part of building a steam shower, so choose wisely! This is a simple enough question to answer. It is the part of the steam shower which is responsible for producing the steam or vapor. Your steam generator consists of a reservoir for holding water, a connection to receive more water and an output for steam. Each steam generator is equipped with an electric heating element which is used to cause the water to boil. There is a thermostatic control which controls the amount of heat and steam which can be produced. The reservoir holding the water and newly created steam must be completely air tight. 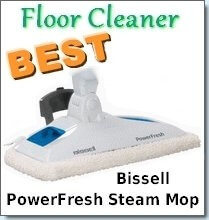 This is essential as it is necessary for the steam to build up pressure. The tank must be able to withstand this pressure which is why it is usually made out of a strong material like stainless or welded steel. Each generator does not necessarily have to be located near the steam shower kit. It can be installed as much as 25-40 feet away which enables you to store it out of sight i.e. in a closet or an enclosed space. Each steam generator would be controlled by some sort of controller which should be placed outside of the enclosure and provide easy access. The controls should allow you to control the temperature, pressure and have a shut off mechanism which stops steam after a specified period of time. When purchasing a steam shower generator there are many aspects you should pay attention to. Firstly, it should be made out of durable construction materials that will last of quite awhile. 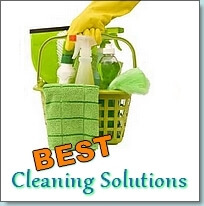 It is best to buy one with a lengthy warranty as these machines can be quite expensive ranging from $500 to over $1500. 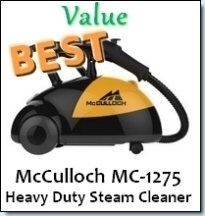 You should also buy a generator which is capable of producing even amounts of steam quickly, efficiently as well quietly. Rather consider buying a tried and tested brand name at a higher price than buying a cheaper unknown brand. You usually get what you pay for. 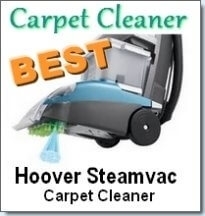 So what kinds of steam generators are recommended? This generator is capable of producing steam in a very fast one minute time frame! It is a 5 KW steam generator and will cost you around $1,500. If you feel unsure about the size generator you will need for your specific space use Kohlers’ calculator to easily figure this out. Another shower steam generator that can be considered is the Mr. Steam Ms225ec1 Residential Steam Generator. 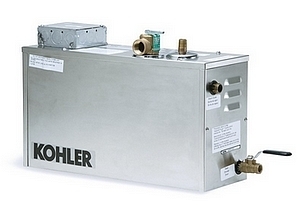 This generator is made from stainless steel and sports an industrial grade heating element. Best of all it is certified from UL and CE operation certified. This generator is designed for baths that measure up to 65 adjusted cubic feet and will cost you about $1,425. Steam generator installation is a task that should be left up to the professionals. In fact, if you do not hire a professional to install it you can void your warranty. However, you can take some precautions and make sure that your steam shower is completely sealed before installing the generator. Make sure that your grout and tile are free of holes to prevent steam from escaping. If there are some imperfections you can use silicone and grout sealer to fill in the problem areas.